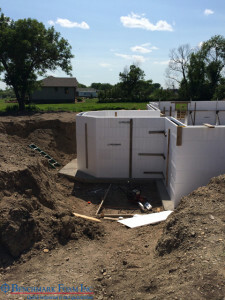 As the construction season ramps up with the warmer weather, builders should take notice of any new requirements or codes, especially those with projects in Minnesota. In January, the 2015 Minnesota Building Code went into effect with significant changes to increase energy efficiency. The minimum insulating value for foundations increased from R-10 to R-15, with a minimum of R-5 on the interior and R-10 on the exterior. The wall insulation must now meet R-21 or better in Minnesota buildings. Luckily, Benchmark Foam products have no problem meeting any of those new minimum requirements. Walls finished with Insulated Concrete Forms (ICFs) made by Benchmark Foam meet and exceed the new Minnesota requirements while giving homeowners energy savings and a solid structure to call home. 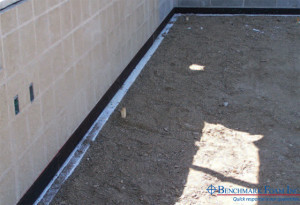 Our High Density expanded polystyrene (EPS) foam insulation, often used below-grade, can be customized to any thickness to help achieve specific R-Values, while also customizing sheet size to simplify the installation process. While most rigid insulation boards come standard in 4’ x 8’ sheets, Benchmark Foam can customize to your project needs, allowing your crew to finish faster. As you evaluate your project needs, call the knowledgeable Benchmark Foam team to find out how our products can help you abide by local codes, offer attractive features to the end user and stay within your budget. Call us today at 800-685-3444 and experience the industry’s only On-Time Guarantee.